What’s So Scary About Disability? Horror movies still insist that the scariest thing of all is being disabled. Horror films and books play heavily on the idea that religious texts and arcane tomes are gateways to magic and evil, but the idea of disability as punishment is one found in almost all religious stories. In these parables, sinners are struck down with blindness, leprosy, or paralysis as a punishment for perceived sins, and healing is only offered when they repent and beg for forgiveness. In fact, early Puritan writings suggested that disabled people were innately driven towards evil, and that a child born with a disability was being punished for intrinsic impulses towards immorality. In folktales and fairytales, too, limping crones lure children to their deaths, and disfigured characters like Rumplestiltskin use their cruelty and cunning to entrap the more moral characters of the story. 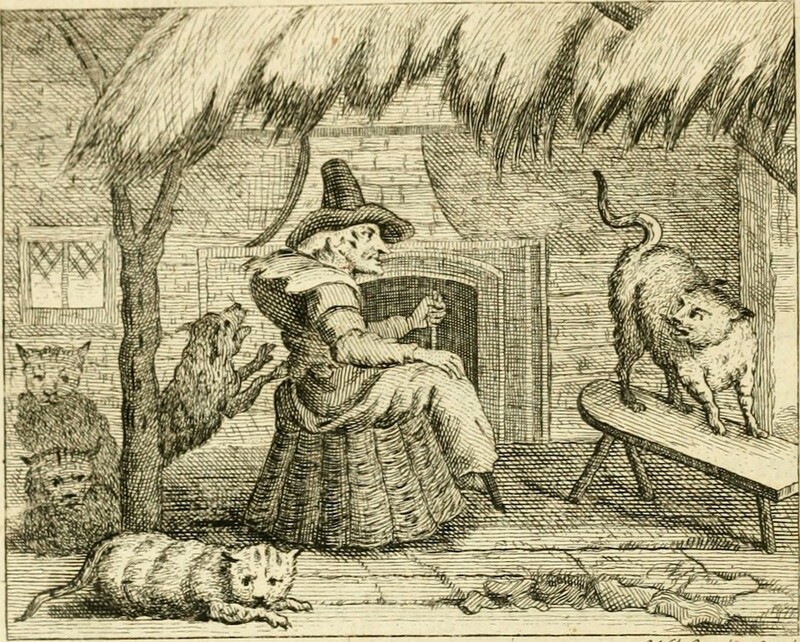 Often, in these tales, disabled and disfigured people are fueled by jealousy and bitterness, and so turn their hatred onto the pure and blameless members of society. The over-arching message? Disabled people are inherently evil, and as such, we are scary. Unfortunately, this lazy trope, which positions disability as being caused by, or being the cause of, malicious wrong-doing, is one that repeats itself in popular culture, and feeds into the false idea that disability is inherently a bad thing. In Stephen King’s The Green Mile, callous jailer Percy is punished for his cruelty to the inmates by being rendered catatonic, while the sweet-hearted wife of the prison’s chief warden is saved from her brain tumor because, we’re meant to infer, she deserves to be. In the Texas Chainsaw Massacre, Leatherface is a disfigured character who tortures people to death and tries to wear their faces, because of course, if you have a facial disfigurement you must be filled with self-loathing, as well as a burning hatred for those who don’t. We know that Freddy Krueger is evil because he’s disfigured; the Phantom of the Opera becomes a villain because he can’t possibly reveal his scars; and Jason Voorhees, with his disfigurement hidden behind a mask, demands your attention with murder. But it isn’t just physical disabilities that history and, by extension, the entertainment industry, consider frightening. One of the most famous horror tropes is the mentally ill and therefore murderous antagonist. Often a serial killer, like Hannibal Lecter, or occasionally possessed by demons, like Emily Rose, if there’s one things the horror genre has taught us, it’s that mentally ill people are to be feared. But there’s a particularly sad irony in this stereotype, since throughout history, mentally ill men and women have been the ones most frequently harmed by society. Take Bethlem Hospital, better known as Bedlam Asylum, for instance. Most of us know that Bedlam was a terrible place, where people were locked away in squalor, without treatment, and routinely abused by their gaolers. What many people don’t realize, however, is that before Bedlam, locking away patients with mental illness was considered to be a humane way of isolating them from their abled peers, for the very simple reason that mental illness was thought to be contagious. As a result, many people suffering from mental health problems were subject to torture or murder, as it was feared they might infect others. Isolation was considered to be a more compassionate alternative to a variety of so-called therapies, from blood-letting, to starvation diets, to trepanning, an ancient practice in which a portion of the skull is removed. Yet despite this, the horror genre is rife with depictions of psychopaths committing mass murder, or people with multiple personalities slaughtering their families. Perhaps, you might think, that these stereotypes are no big deal. But the fact is that the horror genre is the only genre in which disabled people are regularly represented at all. In 2015, a report by the Media, Diversity, and Social Change Initiative found that of the top 100 movies that year, only 2.4% of disabled characters spoke or had names, despite the fact that 1 in 5 people around the world are disabled. The entertainment industry, in particular, regularly comes under fire for allowing abled actors to “crip up” and play disabled roles, thereby denying disabled actors the opportunity. The problem has become so bad, that the Ruderman Foundation recently reported that an incredible 95% of disabled characters on television are played by able-bodied actors. The fact is that the horror genre is the only genre in which disabled people are regularly represented at all. Similarly, while most horror films depict mentally ill people as violent, cold-blooded killers, the reality is that they are far more likely to be the victims than the perpetrators of violent crime. The stigma around mental health issues also makes recovery harder, and according to the Mental Health Foundation, nine out of ten people with mental health problems believe the stigma around them has a negative impact on their lives. While Halloween is a great excuse to terrify ourselves and indulge in dark stories, it’s worth remembering that while horror entertainment frequently depicts disabled people negatively, there’s essentially no other popular media to counter-act these depictions. While there are countless disabled and disfigured people portrayed as killers and villains, we rarely ever get to be the heroes, and frequent negative representation breeds ongoing stigma and prejudice. Stories of disability as a moral punishment, in particular, feed into the idea that disabled people deserve suffering, or even that the lives of disabled people are nothing but suffering, and so we are either to be pitied or punished. Neither of these things is true, and isn’t it about time we stopped using disabled bodies as a short-cut to cheap scares? The chances are we’re probably not going to murder you or wear your face as a mask, but we are pretty tired of always being the bad guy. Really, the only thing frightening about disability is the archaic attitude the entertainment industry still has towards it — in both its depiction of us, and its refusal to offer us a chance at employment.